24” Reinforced Concrete Pipe drainage system installation that will tie into the existing drainage system. Crews on temporary formwork preparing the pump that will conduct the concrete pour for the retaining wall by the proposed new northbound I-405 on-ramp. Crews conducting a footing concrete pour that will provide support for the retaining wall. As a part of the project’s final stage improvements, the contractor will continue with street surface activities for final paving on Wilmington Avenue between 223rd and 220th streets. As a part of the project’s final stage improvements, the crews are continuing with final paving operations. As a part of the project’s final stage improvements, the crews are continuing median work. As a part of the project improvements, the crews will conduct median work as a part of the final stage of this project. southbound I-405 off-ramp at Wilmington Avenue. As part of the project improvements, the contractor will conduct irrigation installation at the southbound I-405 on-ramp/Wilmington Avenue area. As a part of the project improvements, the crews will be modifying and improving to current standards the existing driveways on 223rd Street. Wilmington Avenue from the west side of the street to the east side. As a part of the project improvements, the crews will install a drainage system on Wilmington Avenue. As a part of the project’s improvements the crews will install the traffic signal overhead at the intersection of Wilmington Avenue and East 223rd Street. 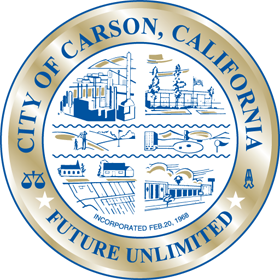 As a part of the project improvements, Southern California Edison will be conducting their work and relocating a temporary cables shoofly (temporary energy poles with cables) to the permanent poles in the area. CLOSURES One of the two left turn lanes (middle lane) off the northbound I-405 off-ramp, Southbound Wilmington Avenue lane closest to the sidewalk. On Thursday, September 1 and Friday, September 2, 2016, as a part of the project’s improvements the contractor will pour concrete at the bottom of the bridge at the intersection of Wilmington Avenue and 223rd Street. Back on track: The crews were able to coordinate all of the pending activities that had required the cancelation of the work originally scheduled for this weekend, Friday, June 10, thru Monday, June 13, 2016. The contractor will conduct construction weekend activities, including pile driving, at the intersection of Wilmington Avenue and E. 223rd Street. The contractor is implementing nightly ramp closures of northbound I-405 on- and off-ramps at Wilmington Avenue. The contractor is resuming the construction activities on the east side of Wilmington Avenue (abutting the Shell and Chevron gas stations) between 223rd Street and slightly before the I-405 Bridge. Construction Notice: Pile Driving Activity – COMPLETED! The pile driving work that was being conducted at the Dominguez Channel has been completed. The contractor is continuing to implement intermittent lane restrictions on Wilmington Ave. and 223rd St. In the upcoming three to four months, the contractor will drive piles at different locations within the project limits. 6-1-15 Lane Restrictions on Wilmington Ave. & 223rd St. In order to continue the pile driving work being conducted at the Dominguez Channel, the contractor will mobilize and reposition a crane from the east side to the west side of the Dominguez Channel adjacent to the northbound I-405. Starting on Monday, June 1, the contractor will implement intermittent lane restrictions on Wilmington Ave. and 223rd St. In the upcoming three to four months, the contractor will drive piles at different locations within the project limits (see map below for pile driving locations). Crews will implement an overnight traffic switch between 220th St. and 223rd St. to remove the street median for the widening of Wilmington Ave. The contractor is conducting daytime concrete pours on northbound I-405 for the construction of a transition and an auxiliary lane. To improve traffic flow, the contractor will conduct traffic signal modifications on Wilmington Avenue. The contractor will replace the pavement on the northbound I-405 on-ramp at Wilmington Avenue and behind k-rail on the outside lane/shoulder of northbound I-405 between Wilmington Avenue and slightly north of the Dominguez Channel. The contractor is continuing with construction activities for the retaining wall at the southbound I-405 off-ramp at Wilmington Ave. The contractor has completed excavation and will continue with additional construction activities for the retaining wall at the southbound I-405 off-ramp at Wilmington Ave. The contractor has completed the construction of the retaining walls southwest and adjacent to the proposed new northbound I-405 on-ramp at Wilmington Avenue. The crews will continue to remove the temporary shoring (support) that was used during the construction of the retaining wall. A total of 10 plates and 18 beams have been taken out with 10 plates and 22 beams remaining in place. Our project team is working hard to ensure your safety and meet deadlines during construction. This work sometimes happens behind the scenes. Check out the I-405 Wilmington Avenue Interchange Modification Project website to see our team in action and learn about the daily activities that are essential for this city improvement. The contractor will string overhead power lines in order to install temporary traffic signals and conduct traffic signal modifications. This work requires temporary lane and right-turn restrictions, including signal shutoffs at the intersection of Wilmington Avenue and E. 223rd Street. Crews will removal and reconstruct the center median on Wilmington Avenue between 220th Street and 223rd Street. The contractor has opened the newly paved southbound I-405 on-ramp at Wilmington Avenue. The contractor is continuing to reconstruct the southbound I-405 on-ramp at Wilmington Avenue. This work requires the long-term closure of southbound I-405 on-ramp at Wilmington Avenue that began on Tuesday, May 27, 2014 thru Thursday, July 3, 2014. During the construction and for the opening of the Southbound I-405 on-ramp the contractor will realign k-rail and conduct construction clean-up along the San Diego Freeway (I-405) between Alameda Street and Carson Street. The contractor will reconstruct the southbound I-405 on-ramp at Wilmington Avenue. The contractor will continue the removal of trees along the westside of Wilmington Avenue. The contractor will reset k-rail, compact dirt and tree removal along the San Diego Freeway (I-405) between Alameda Street and Carson Street. This work includes the closure of freeway lanes and a ramp. retaining wall. This work requires overnight work, street lane closures and closure of freeway lanes and a ramp. The onramp is tentatively expected to be complete in Fall 2014. The contractor will install a storm drain and excavate for the new northbound San Diego Freeway (I-405) on-ramp at Wilmington Avenue. This work requires the closure of freeway lanes and a ramp. The contractor will reset k-rail and remove pavement along the San Diego Freeway (I-405) between Alameda Street and Carson Street. This work includes the closure of freeway lanes and a ramp. The contractor will set k-rail and restripe the San Diego Freeway (I-405) between Alameda Street and Carson Street. This work includes the closure of freeway lanes and ramps. The crews are working on widening Wilmington Ave. by performing work on the east side of the street between the existing northbound I-405 on-ramp and 223rd St., through late Summer 2016. The crews are currently working on the retaining wall and soundwall that will abut the new northbound I-405 on-ramp at Wilmington Ave. The work for the walls is expected to be completed Summer 2015. The crews are continuing to retrofit the bridge over the Dominguez Channel. This work requires long-term lane restrictions on Wilmington Avenue and E. 223rd Street thru late December 2015. The southbound I-405 on-ramp is open to traffic. The crews are working on finalizing work abutting the ramp including backfilling at the retaining wall, installing barrier rail, repaving and landscaping. The work is expected to be completed May 2015. 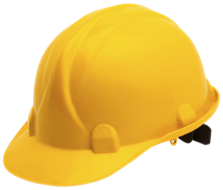 This work involves the removal or relocations of multiple utilities underground and above ground. Such as, Sothern California Gas, Southern California Edison, Time Warner Cable, AT&T, Cal Water and other others. Email: Fill out the form above and press submit.